Random thoughts on most things from A. M. Craig. 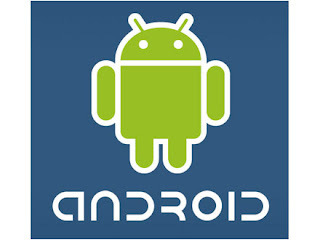 I can't wait for the Android mobile OS to be released. I will be one of the first adopters. And if any of the rumors are true (I think they are), then I will be a happy camper. After watching the video, you might be thinking, "Why don't you just get an iPhone?" Because Android will be better. Don't get me wrong, I like Apple and their products, but you never forget that it's a business with them. If business means minor annoyances for the end consumer, so be it. Android won't be closed, intentionally crippled, or monetized to death. It's an open platform, with thousands of people developing on it because they want to. Want a program that monitors your caloric intake? Sure, there is probably a developer out there who will have already written it. An innovative game? There will be lots. High speed access to the full web? Done. It will run across a variety of hardware platforms, and from the looks of it, HTC will be providing some impressive starting material. I'm stoked. It may be one of the only things to get me to abandon my faithful Sidekick. it looks cool, but did you see that it locked up at the end when he was trying to push the home button and they just panned away? hopefully such issues will be resolved by release time. Oh that Sidekick had not lived to experience the shame of those painful words. Thanks, JJ. You're as Helpful as Finals were.